The University of New Hampshire is a flagship public research university located on the edge of possible. We’re built for people who love challenge and see opportunity everywhere. If you’re looking for intellectual adventure and a path to long-term success, explore our 100+ undergraduate majors and 500+ study abroad programs, our 360-degree university experience, and singularly welcoming, worldly intellectual community. Register for a tour at unh.edu/main/visit-campus or call 603-862-1360. Apply at unh.edu/main/undergraduate-applicants. Our schools and colleges bring faculty and undergraduates together to examine the past, engage with the present, and build the future through academic programs in engineering and the physical sciences, health and human services, the arts, humanities and social sciences, life sciences and agriculture, and business and economics. Our professors are Fulbright Fellows, internationally renowned experts, writers, artists, and White House advisors. They win major awards (Guggenheim, National Science Foundation, Pulitzer). But they are also friendly, accessible human beings who want to help you succeed. We conduct research that touches the ocean depths, the galaxy’s edge, and everything in between. 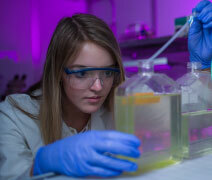 UNH students have helped build instruments launched on more than 20 NASA space missions, restored healthy oyster populations to Atlantic waters, and developed widely adopted programs to prevent bullying in schools. More than 100 student employees solve problems for global tech companies in our InterOperability Lab, the nation’s premier independent testing facility for network technologies. Each year we sponsor two entrepreneurship challenges for student and community teams, and we provide generous grants for student-driven, faculty-mentored research projects on campus and abroad. 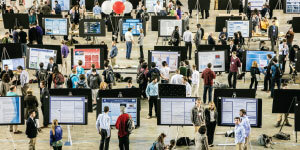 More than 1,800 students from every field present ambitious, creative, and enterprising work at our Undergraduate Research Conference, the largest event of its kind in the nation. And as a higher education leader in sustainable energy, we power our campus using innovative technologies. The Carbon Management and Analysis program developed by our faculty and students is a national model for reducing carbon use. Our Sustainability Institute supports ongoing research, campus-wide programming, and a dual major. Our campus feels like a New England liberal arts college, except more ambitious. Our 13,000 undergraduates and 2,400 graduate students come from 49 states and 72 countries. This is a place where every voice matters, where differences are honored, where kindness and compassion are shared values. The basic social rule: just walk up and say hi. Residence halls are clustered in mini-neighborhoods around campus and range from traditional brick dorms to townhouses and high-rises. We also offer themed houses and floors for arts, leadership, outdoor experience, and more, plus living/learning communities for selected academic programs and interests. There are cafés and (award-winning) dining halls all over the place, plus our adorable Dairy Bar housed in a renovated train station. There are opportunities to get involved at every turn. 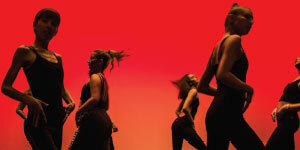 We have 250 student clubs and organizations, plus dozens of lectures and cultural and entertainment offerings (like Avicii, Dropkick Murphys, and Kendrick Lamar) on a regular basis. With 31 club sports and an extremely popular intramural program; a bustling rec center with courts, an indoor track, a bouldering wall, and fitness studios; plus miles of wooded trails on campus, you’ll find plenty of ways to keep active. Want to explore sustainable ecosystems in New Zealand or study Global Health in Ghana or Justice Studies in Hungary? Our Center for International Education and Global Engagement will help you pursue your interests in the world. Our fellowships office will help you locate and apply for high-profile scholarship and fellowship opportunities (like Goldwater, Gilman, or Fulbright). Our career services staff will help you find internships that put practical experience on your résumé—and they’ll help you develop that too. Experiences like these lead to professional placements and acceptance to outstanding graduate programs at UNH and around the world. In fact, UNH students are accepted to veterinary medical schools at a rate 35% higher than the national average.